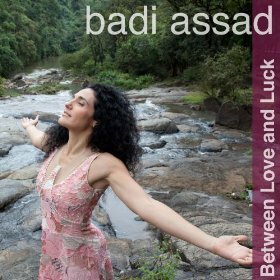 Brazilian singer, songwriter, guitarist, and percussionist Badi Assad comes from a musical family (her father plays mandolin and her brothers are guitarists and members of Duo Assad) and has quite the resume. From a young age, she has made a strong impression on the guitar world, touring Europe in the late ’80s with guitarist Françoise-Emmanuelle Denis as Duo Romantique, contributing to a variety of live performances in the Heineken concert series, and then being voted Best Acoustic Fingerstyle Guitarist by Guitar Player magazine in 1995. One of my favorites is “Quarto Da Rainha” (rough translation: “queen bedroom”), a sassy, cabaret-infused number with spoken Portuguese lyrics and a catchy groove. “Vinheta Coração” is a stunning little example of Assad’s technical prowess as a guitarist, and segues into “To Reach My Heart,” a sweet love song, which she sings in English. “Eu Vim Daquele Lugar” has almost a trip-hop feel and showcases the acoustic guitar beautifully without overwhelming the mix. Between Love and Luck is an apt name for an album that is equal parts sensuous and fiery, mellow and fierce. Each of the songs are so different that one actually has to pay attention when listening to it in full, in order to catch all the nuances and layers. It strikes a perfect balance between laid-back coffeehouse listening and tight, peppy grooves.